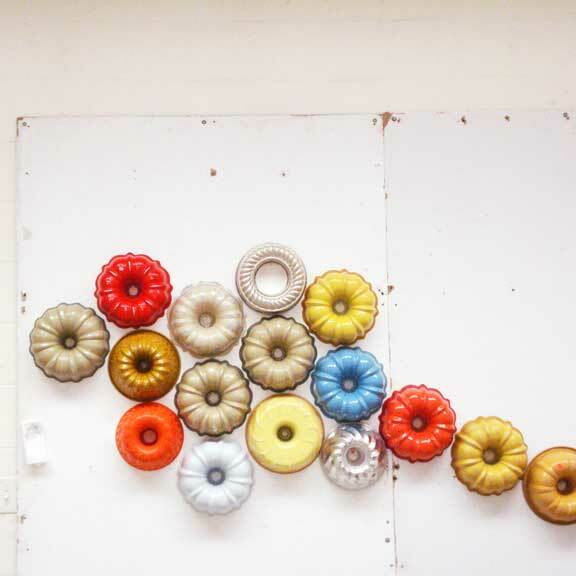 I just saw this wall of bundt pan goodness over at Aesthetic Outburst and had to share it with you, my fellow thrifty vintage-lovers! I see these all the time at thrift stores, but never thought about collecting them for such a fabulous display! Isn't it lovely?